If you’re feeling overwhelmed by information overload lately, you may not be alone. The amount of new information stored on various media such as hard drives has doubled in the past three years, to five exabytes of new information produced in 2002, according to a recent study by the University of California, Berkeley. That’s exabytes, as in one byte with 18 zeros behind it, six zeros more than a terabyte. The amount of information put into storage in 2002, five exabytes, was equal to the contents of a half a million new libraries, each containing a digitized version of the print collection of the entire U.S. Library of Congress, according to the study by professors Peter Lyman and Hal Varian of the UC Berkeley School of Information Management and Systems. The professors estimated that between two and three exabytes of information were generated in 1999. Most of that data — 92 per cent of it — was stored on magnetic media, primarily hard drives, the study estimates. The study is a follow-up to a 2000 study by UC Berkeley. 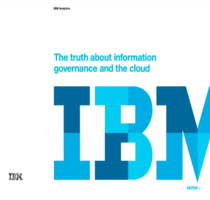 The study underscores the need for companies to smartly manage their information, said Gil Press, director of corporation information at EMC Corp., an information storage vendor and a sponsor of the study. But IT solutions aren’t the only answer, because humans still need to look at information with a critical eye, he added.